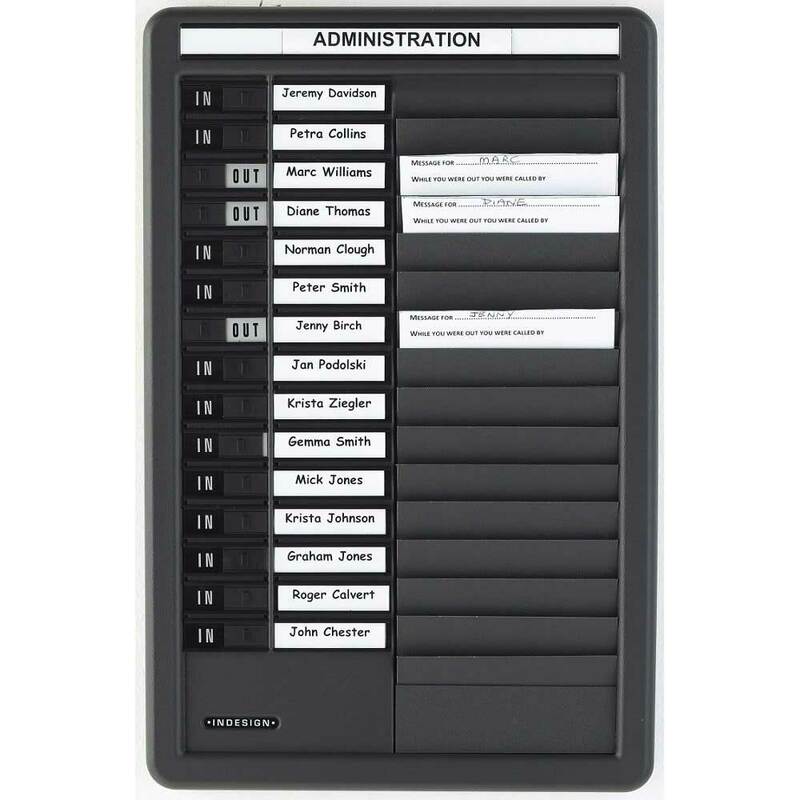 In out/message boards not only make it easier to identify which employees are on the premises, but also to relay messages to them. Companies that are concerned with finding cost-effective ways to help maintain safety and security will find these boards ideal. These boards are a perfect choice for use in offices, but can also be used in many other indoor environments. The frames are washable, ensuring that they always look professional. Office managers who have been looking for a solution to keeping track of their staff will find them both simple and convenient to use. Two types of board are available, catering for 15 and 25 names, though larger companies can purchase additional boards to mount side-by-side. Pockets are located next to each name, where a message or phone number can be inserted. A sliding mechanism, next to each space, makes it easy to show whether the individual is ‘in’ or ‘out’. Because the card inserts are supplied on a strip, it is easy to add names to them. 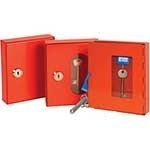 A wall mounting kit is supplied with each board to make fixing them as simple as possible. Thanks to its durability, this product will easily withstand the demands of virtually any indoor environment. PIMC25 - My only issue was that it was much heavier than I expected and we need to take it outside if we have a fire drill.